We are making the good life happen in the post-industrial economy. Join us in Morocco. January, February, March & April, 2018. 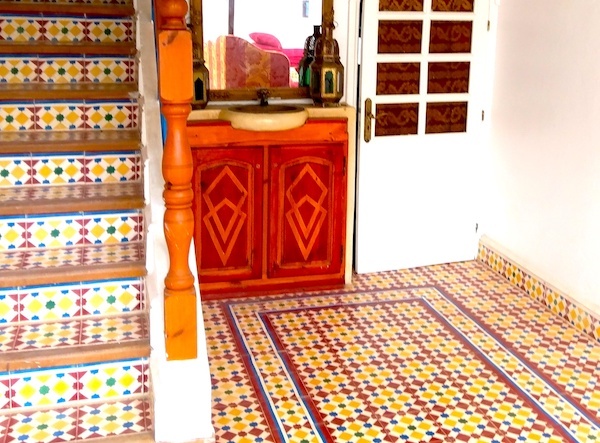 Hidden away in a relaxed fishing village near Essaouira with access to world class waves, beaches and surf. 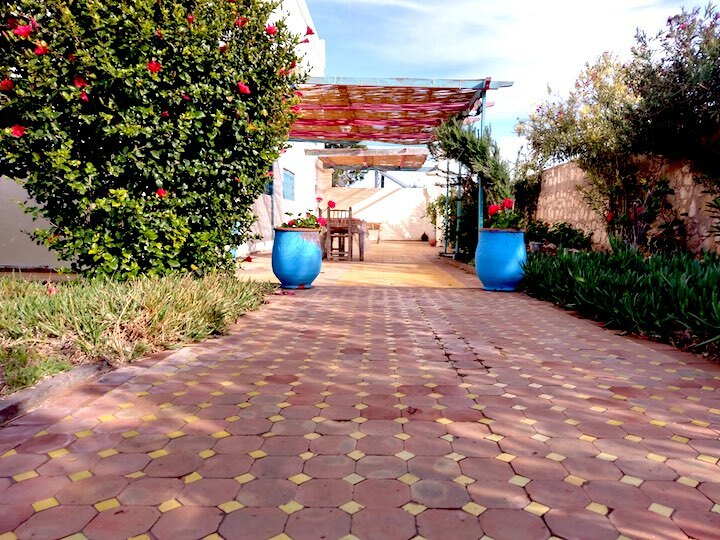 This January to April, we are bringing together 12 people interested in working on entrepreneurial and creative opensource projects to live, co-work from, and explore Morocco together for one month at a time. We want to offer people working for the common good an intentional break from y(our) routines and the space to drive meaningful projects forward, develop new skills and build new relationships. A month in the house is about going on a journey together to build a “better life” by collaborating on some inspiring projects with a supportive community of peers. In each house participants cocreate a nurturing environment for innovators to be able to work on the projects that they love, while living and having fun with peers who have different perspectives and values. The participants consist of teams of Project leaders and Project collaborators. They are hosted in the house in a calm environment to think, learn and work together. 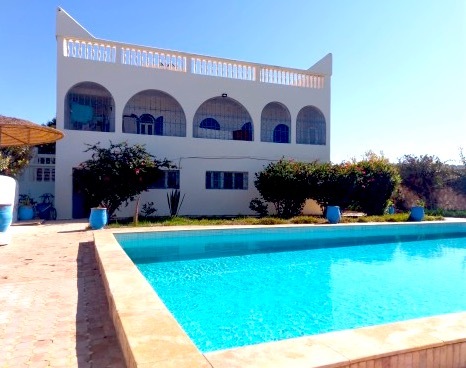 We will be staying in a charming, fully furnished Riadh a short walk from the beach, located near Sidi Kaouki. 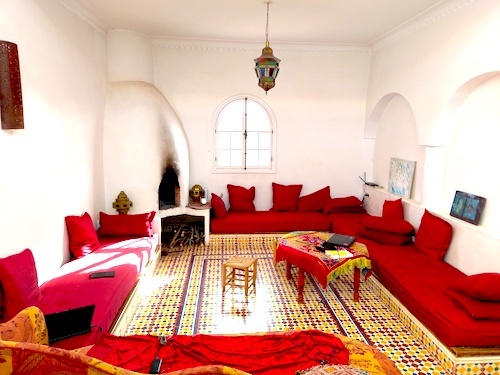 This fully furnished, spacious riad boasts 400 sq.m. 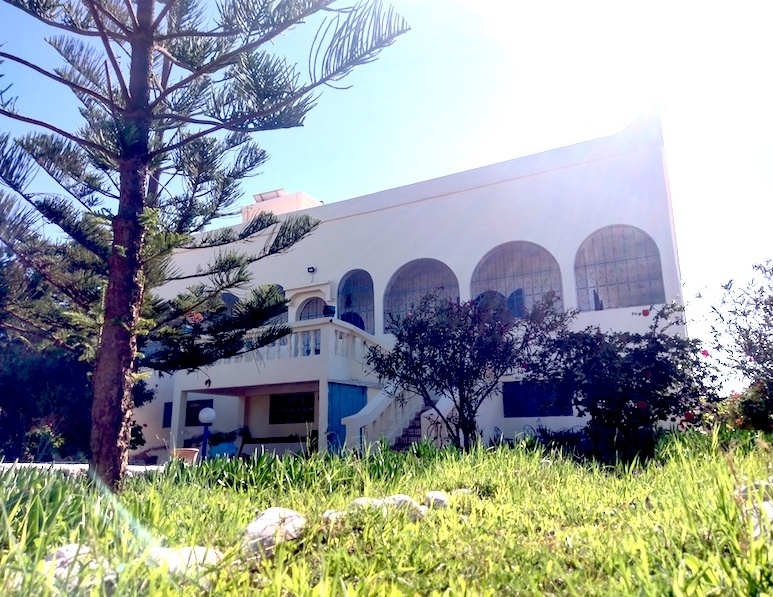 of living space, 6 bedrooms all with ensuite, a fully equipped kitchen, indoor pool & rooftop deck with ocean views. Bitcut is a design lab for open furniture. We believe that open source systems will be the future, so we are building the future of design. Dreamed up by two young architects, Bitcut was their solution for the qualification, overpricing and shallow design in the Egyptian furniture market. Open Source systems provide a full chain of production, beginning with the design and use of recycled materials to retail distribution. A distributed functioning opensource furniture platform providing furniture at lower prices. You will develop design skills, and familiarize yourself with opensource software, cnc machines...etc plus whatever skills needed to sustain the project like project managing, web design, outreach for partners and clients. Basic Knowledge of design. Being familiar with fablabs and opensource software is a plus.  Within a bigger vision of fair and direct international food trade, we are looking to develop open source coffee production and processing tools. The first tool is a low-cost optical coffee sorter: a small machine that improves coffee quality by sorting out the “bad beans” at a rate of ≥100 kg per day. In the hand of small-scale coffee farmers, this machine will reduce their manual workload and improve their income while still keeping them in control of the process and prices via direct trade to the final consumers. The machine will use a small embedded computing platform like the Raspberry Pi 3 to control some mechanical parts (stepper motors etc.) and run image classifiers (“artificial intelligence”) software to decide which beans to sort out. This will allow very exact sorting, and to our knowledge has never been done before. See also the project overview. The resulting machine will be open source, and participants and others are invited to found a business producing these machines if they like to. The goal To democratize coffee production, preventing small-scale coffee farmers from being exploited by intermediate traders, processors and importers. By joining this project You will develop a number of skills: Technical problem solving; product development; engineering skills in electronics, embedded computing, software development, artificial intelligence. Mainly recognized as a surfing destination, Sidi Kaouki is a small coastal village on the Atlantic coast of Morocco, approximately 25km south of Essaouira. This project aims to produce a narrative fit for the people who live here and their outlook on community life. By delving into the local stories of the area we hope to document upcoming projects and experiment with new forms of storytelling and content distribution. By joining this project You get to develop several skills : communication skills, photography, video editing, web design, and some knowledge on distributed networks. The application deadline is January 15th 2017. You can apply by selecting one of the above projects you would like to work on and telling us a little bit about yourself. Have a project of your own? Submit a proposal on the platform. We will allocate spaces as soon as the right people show up, so do not leave it to the last minute! Travel bursaries are available to Project Leaders and up to 3 Project Collaborators per project through the OpenVillage Fellowship Program. Previous fellows have included Winnie Poncelet, Francis Coughlin and Gehan Mcleod. 0 USD. Contact us for more information about how you can become an active member. 750 USD USD for 1 month private room. Contact us for more information about how you can join our circle of friends. The OpenVillage Program is an independent, not for profit and entirely self-funded initiative coordinated by Edgeryders. Please consider supporting it by making a financial contribution to our OpenVillage Fellowship fund. Learn more about the program here or contact us.